To save money in 2014 the state of Michigan switched Flint’s drinking water supply, with disastrous consequences. 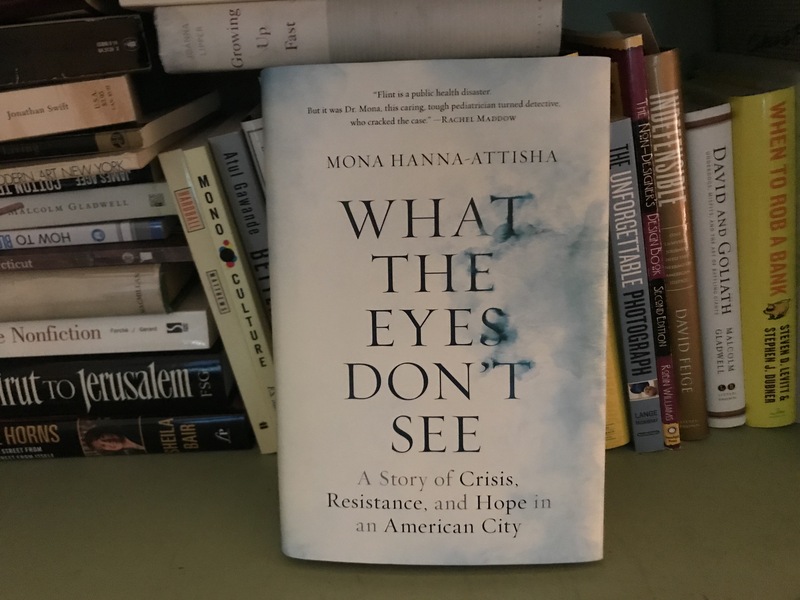 The latest addition to the CT Health Policy Project Book Club, What the Eyes Don’t See by Dr. Mona Hanna-Attisha, follows her journey as a pediatrician with a conscience fighting the state to protect Flint’s kids. 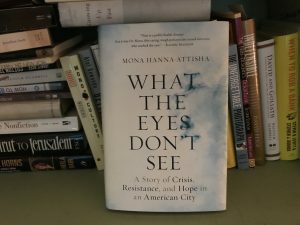 Not an activist, Dr. Mona was in a unique position to prove that the water switch was poisoning every child in the city with lead. Lead is a powerful, but invisible neurotoxin with dangerous and diverse future effects on children. Despite the personal costs, she chose to stand up, take the shots, and fight the state bureaucrats and politicians who knew the truth but willfully ignored it. (Spoiler alert – there were criminal charges.) Every public health follower knows the general outlines of the story, but the book takes you deep in. State government’s extreme pressure on Dr. Mona and all the champions of children to cover up the scandal is probably the most disturbing. Dr. Mona kept thinking, as the proof dribbled out, the surely the people entrusted with children’s health would do the right thing. During the mess, GM’s Flint factory switched back their water supply because of corrosion, and state employees in Flint switched to bottled water in their building. But still nothing was done to protect Flint’s children. She is very careful to emphasize the large number of advocates and one brave State Senator who supported and advised her at every step – no one does anything like this alone. The book also outlines the previous lead-in-the-water tragedy of DC’s water switch, but without the good ending. Advocates in Flint, including Dr. Mona, have created a fund, FlintKids.org, to help reverse the impact of lead on kids.